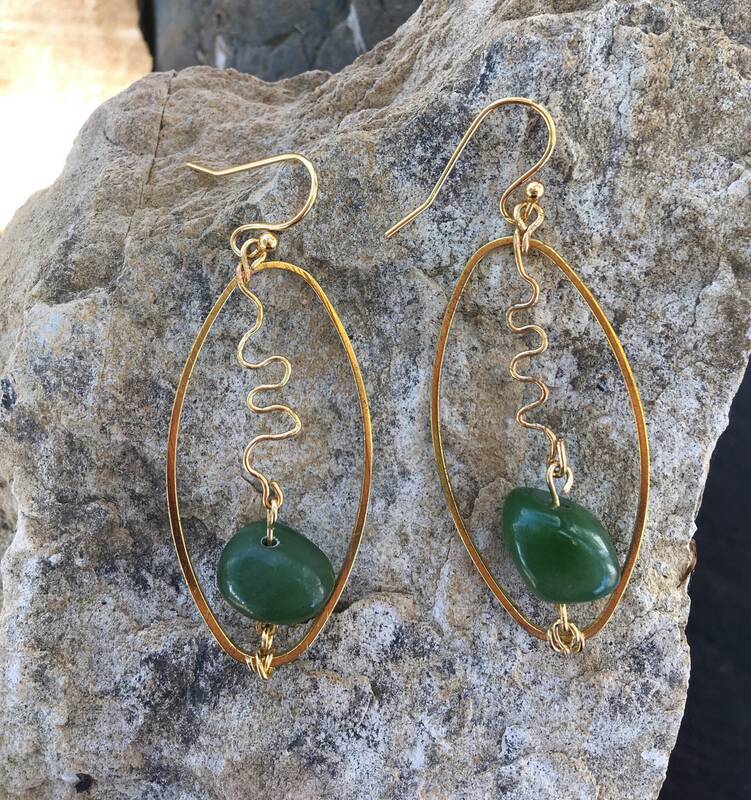 These beautiful, British Columbia jade beads with their medium green tone, pair so fantastically with the gold metal. 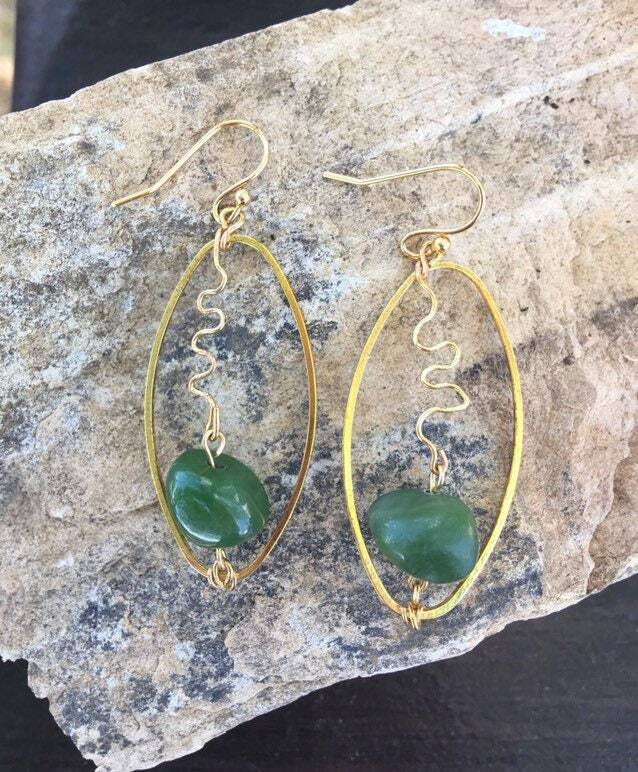 I have twisted the wires into fun, unique patterns, onto the gold ovals, giving the earrings a fun flare. 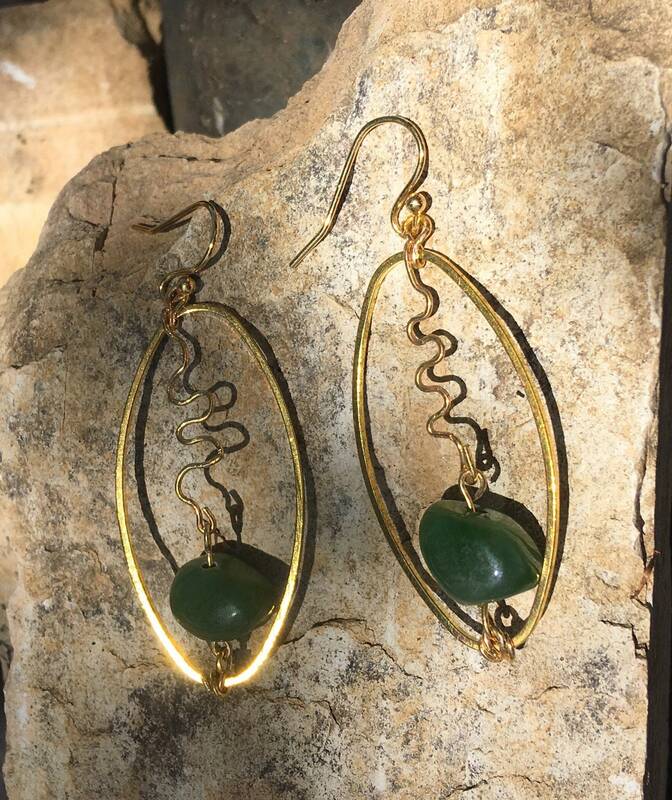 They are about 1 1/2” long and on 24KGF earring hooks.